It’s the perfect time of year for a little spring cleaning and tidying up! 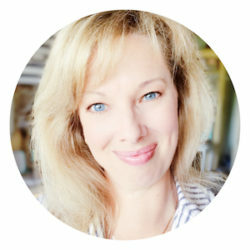 Jennifer Mackintosh is a home educator, speaker, writer & blogger at wildflowers & marbles who shares her ULTIMATE spring cleaning tips with us! Let’s SPRING into action & get organized! Now that it’s spring, I can’t be the only person with thoughts of spring cleaning bouncing around my head. And with Marie Kondo’s books and series that inspire us to tidy up once and for all, many of us motivated and ready to spring into action! As a busy mom of five, I’ve developed a set of spring cleaning go-to’s that I rely on every year. 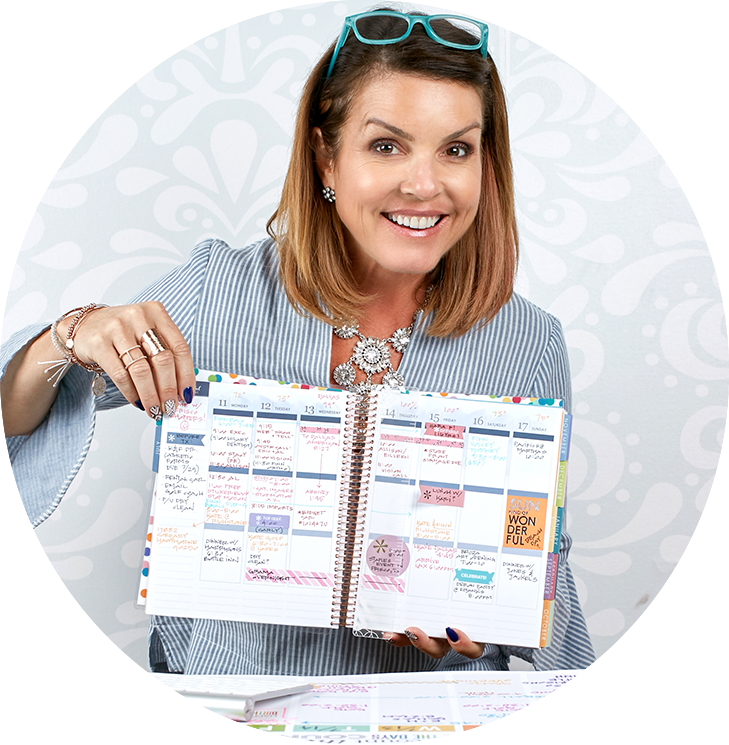 And, if you’re like me, they’ll help you focus, organize and complete your spring cleaning so you can move on to tackling the gazillion activities that happily fill your planner every spring! Spring Cleaning Tip #1: Get spring cleaning lists out of your head and onto paper. Most of us have got a million things hopping around in our head. My spring cleaning list is up there in my head, too! If I don’t get my list onto paper, it stays up there with all my other head clutter. Getting spring cleaning lists onto paper is the first decluttering task. 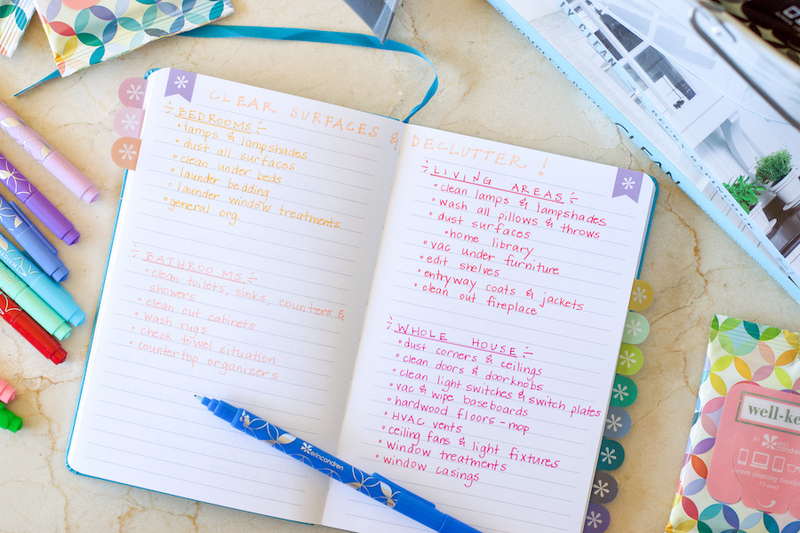 If you’re frozen and worried about making your list pretty and organized, give yourself permission to do a good old-fashioned brain dump first! Just list it as it comes to you, then you can organize your list and color code it so that you can break it down into more manageable bites. This year, I set up a Softbound Notebook to function as my home notebook. 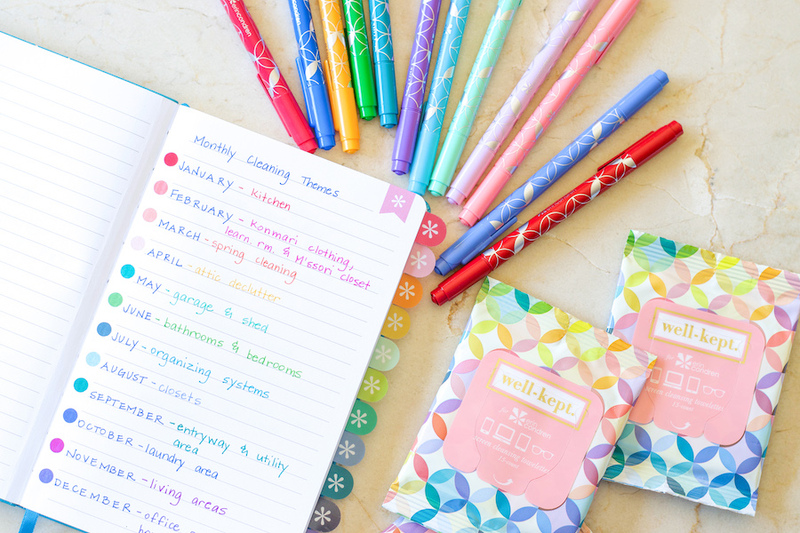 I used Asterisk Page Flags to designate the monthly cleaning themes and I listed all my spring cleaning tabs with Colorful Dual Tip Markers. My March spring cleaning is set up and ready to roll in a fun color! 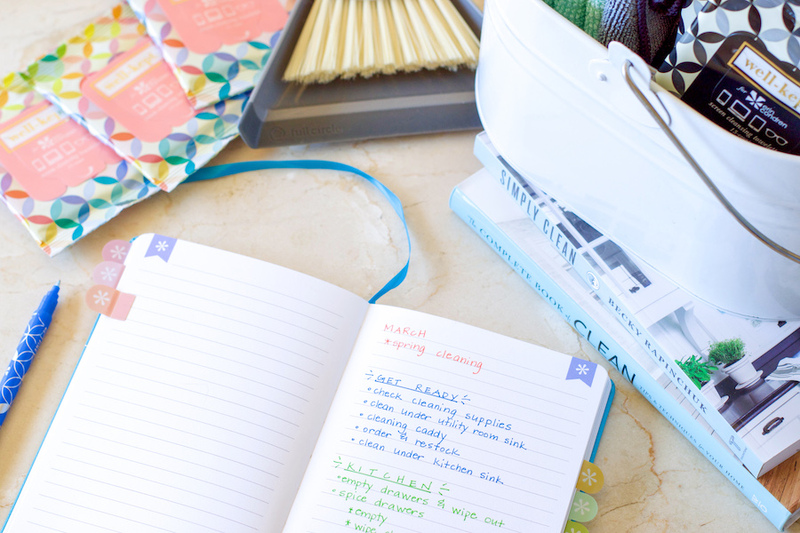 This will not only give me direction for my tasks, but it’s going to keep all my home notes together in one space–another big decluttering win! Spring Cleaning Tip #2: Walk your spaces. In making any spring cleaning list, there are voluminous resources: books, blogs, Pinterest, etc. These can be fantastic as a starting point, but sometimes the number of pre-made lists can be dizzying and overwhelming. You are spring cleaning YOUR spaces, and your spaces are unique. This is why your best resource is a pen & paper and walking your spaces. Look around and note cobwebs, dust, piles of stuff that are out of place. As you walk through spaces, ask yourself if the things you’re seeing really belong there? Don’t forget to consider spaces like your car, your tote bag & your work desk! 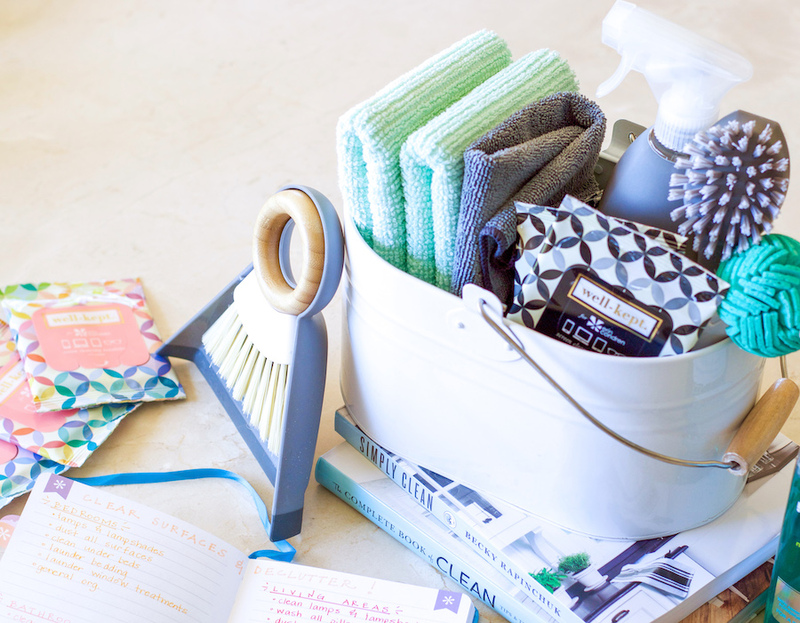 Spring Cleaning Tip #3: Get your supplies ready & set up a cleaning caddy! Well-Kept Wipes: I keep these in my car, tote bag, desk, and of course in my cleaning caddy! These are fantastic for polishing up any display (microwave, smartphones, computers, TVs, etc. ), and especially like to use them to clean & disinfect nasty light switches and switch plates! Spring Cleaning Tip #4: Don’t forget digital cleanup! On our cleaning lists, we all remember to list dusting surfaces, cleaning mirrors, wiping out drawers, but don’t forget a good digital tidying! Unsubscribe from spam emails, and clean up your social feed so that it is full of inspiring and encouraging posts! Now is a good time to also back up & organize important files so you can easily find them when you need them! 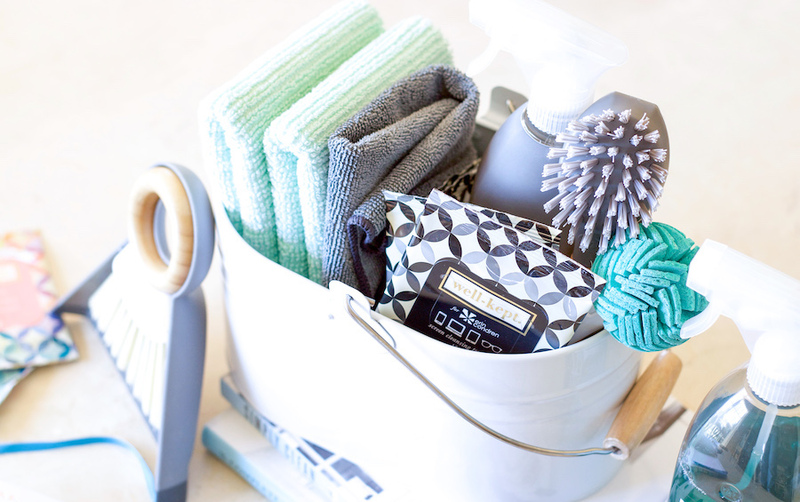 Spring Cleaning Tip #5: Your time is valuable. Get some help! It’s easy to forget that our time has value! Sometimes, with life and kids and work and activities, there simply isn’t time for a full spring cleaning routine. Or maybe you have tasks that you constantly avoid. (I’m looking at you, hardwood floors that haven’t been mopped!) There’s no shame in hiring a cleaning service to help you out in your spring cleaning efforts! Consider the value of your time and rather than “spending time,” consider your budget and spend an equal value of money for a little help with your cleaning list. There are plenty of big-name cleaning services out there, but I found someone locally (through our local facebook group) that helps me with seasonal cleaning. She helps me by tackling some of the tasks on my list, and I’m able to help another working mom and neighbor! It’s a great way to value my time and her work service! Spring Cleaning Tip #6: Spring into joy! Stay motivated by dividing spring cleaning tasks into manageable, bite-size bits; turn up some music, and throw open the windows! However, you tackle your spring to-dos, be sure to throw in uplifting color and fun to remind you to enJOY the season! Wishing y’all a fantastic spring!